Are you heading up to Cape York in your 4x4? 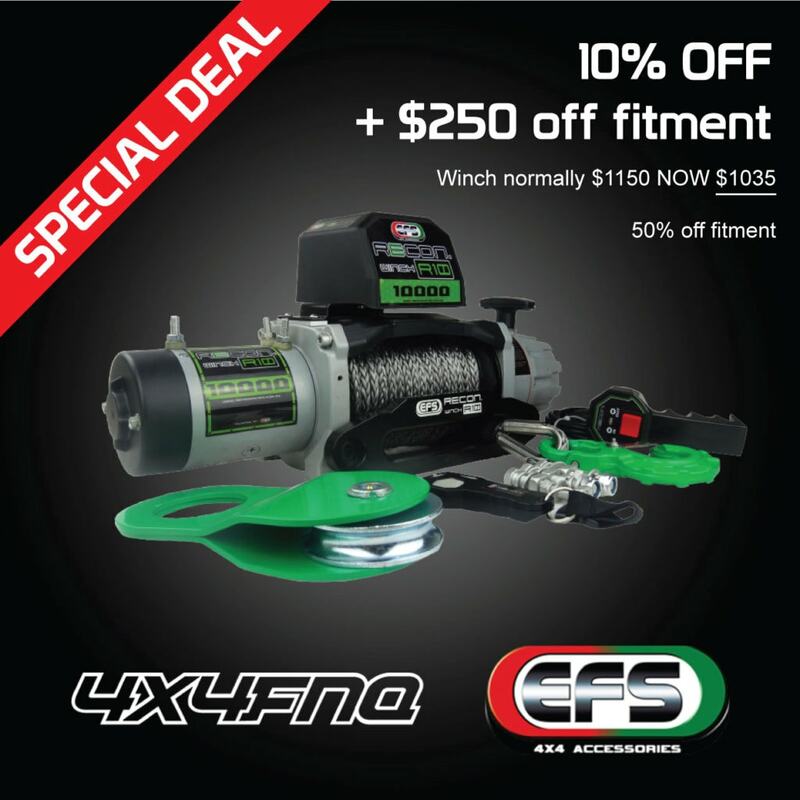 Call now to get 10% off the hugely popular and mega durable EFS Recon Winches. 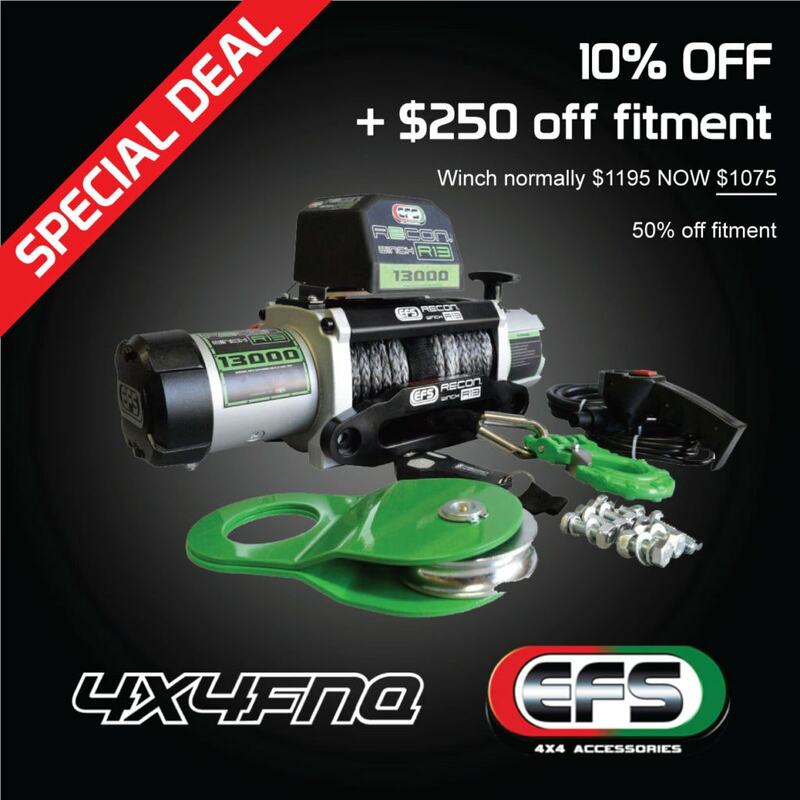 Get a further $250 off our professional fitting service. (Thats half price) Get it done before your next 4×4 Adventure. Call today to claim this deal 0740954523. We have been setting up 4×4’s for Cape York and helping out adventurers in sticky situations up there for over 30 years. 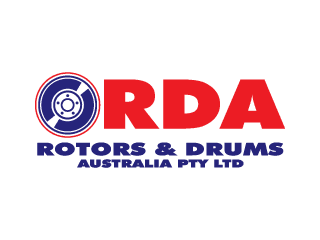 We know Cape York, and only recommend parts that can go the distance. 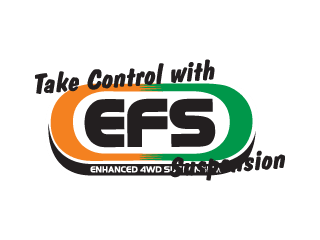 Get your spares kit, sort out your suspension, get a winch, just speak with us today. Our customer base live, work and adventure all throughout Cape York. 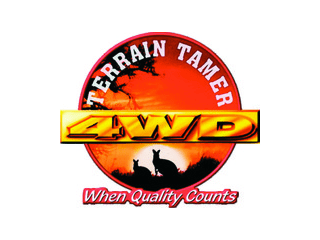 We have years of supporting them with quality 4×4 parts that go the distance. 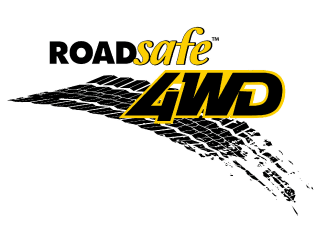 We understand the environment and conditions your 4×4 will be subjected to. We’ve seen just about everything.